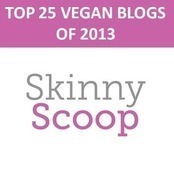 #2 on Skinny Scoop’s Top Vegan Blogs of 2013! It’s an ingenious, creative website that compiles helpful lists of everything under the sun made by busy women for busy women. Don’t we all solicit the advice of friends when we’re comparing food products, books to read, favorite vacation spots, restaurants, baby strollers—you name it. 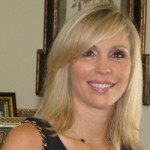 Skinny Scoop encourages women to create and share actionable lists that they can use from their own life experience. “SkinnyScoop takes the offline conversations between women that happen everywhere, everyday, and moves them online bringing value to both the tastemakers and the women they influence,” says CEO Eden Godsoe. As Oprah catapulted certain products into stardom on her yearly “Oprah’s Favorite Things” shows, Skinny Scoop compiles and posts favorite lists on an ongoing basis giving them a valued status. Those lucky enough to be nominated need to earn votes in order to get on their list. 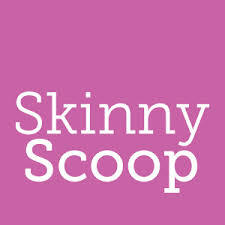 Check out the Skinny Scoop website to see what lists are being compiled and to start a new list of your own! 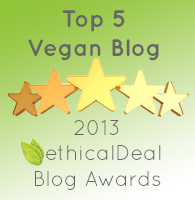 We would like to congratulate all the vegan blogs which made the list, especially The “V” Word, for winning the top spot. We follow many of the blogs on the list and see ourselves as part of a very unique, passionate, compassionate and dedicated community. Anyone who shares our vision, whether they are on a list or not, is an integral part of living the vegan lifestyle! Vegan American Princess will continue to provide our readers with content that we truly care about — now we’re even more inspired! 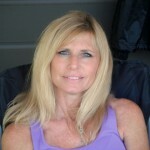 Rika, you have awesome fans because you are awesome…and your blog is awesome! Thanks! Congrats to you too! Congratulations to you!! It’s fabulous! !